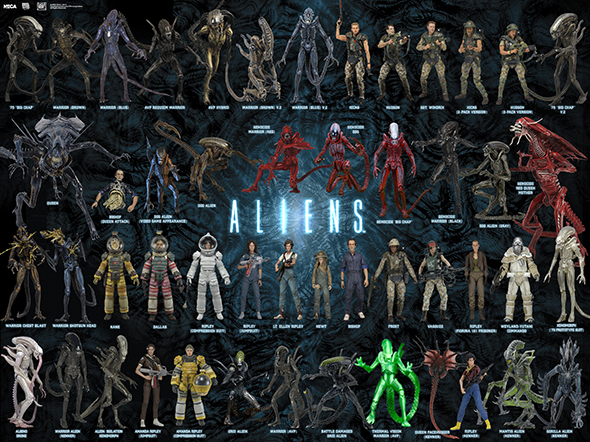 We’ve updated two different versions of our Aliens action figure visual guide to be completely current! 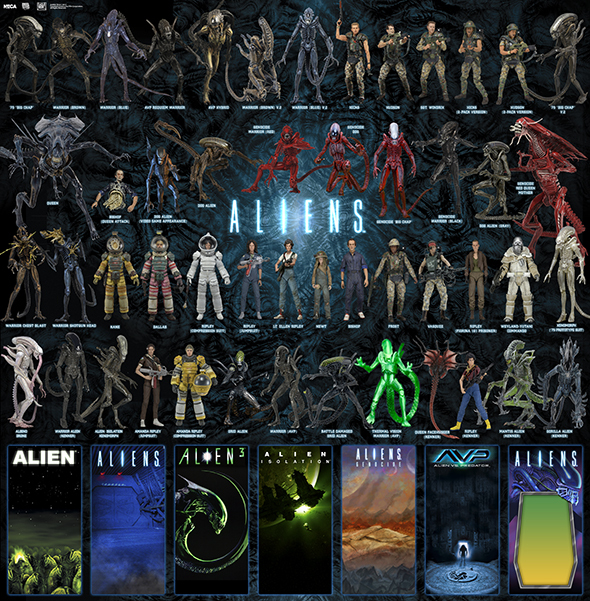 Both include all our Aliens action figures to date, and one version additionally features a gallery of card backer art. Available as extra-large, 300 dpi JPGs. Download links appear below each image.